Ramsey, New Jersey. : Paulist Press.. Good. 1981. Hardcover. 0809123908 . 8vo - 20.5 x 13.5 cm. ; viii - 80 pp. 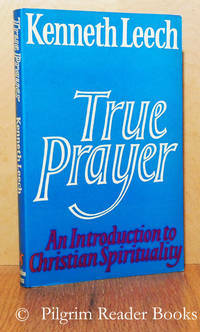 First published by SPCK of the UK in 1980, this is the American reprint. Two page foreword by Annie Dillard. 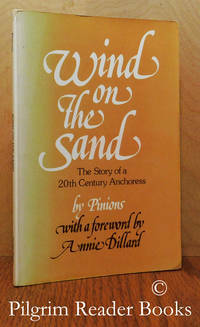 From the back cover: "Pinions is the pseudonym of an English woman who dedicated her life to God by becoming and anchoress. She lived alone in a small hut near a cathedral . . . prayed, tended her garden, and corrsponded with persons all over the world who turned to her in confidence. Later, when struck by illness, she continued her life of solitary prayer from a hospital bed." The library markings, none of which are external, are a stamp on the title page and a pocket on the inside of the back cover. Previous owner's name crossed out on the title page and the spine and spine magin of the front cover are faded or sunned. Otherwise clean with a sound binding. .
Crestwood, New York. : St. Vladimir's Seminary Press.. Near Fine. 1988. Soft Cover. 088141073X . 8vo - 21 x 14 cm. ; x - 133 pp. Illustrated with black and white photographs throughout and an 8 page section of full colour photographs. Two appendices and a 3 page general index. Other than very minor wear to the edges of the covers, 'tis an as-new and unused book. .
Harrisburg, Pennsylvania. : Morehouse Publishing.. Very Good. 1994. Soft Cover. 0819213195 . 8vo - 23 x 15 cm. ; 306 pp. 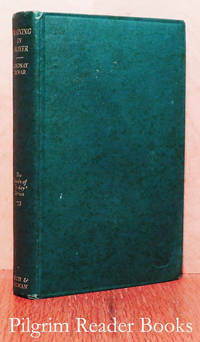 First published in 1983, this is the third printing, with corrections. 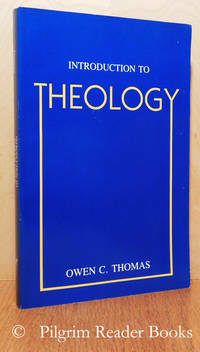 Thomas was the Fiske Professor of Systematic Theology at the Episcopal Divinity School in Cambridge, Massachusetts at the time of writing. Discussion questions follow each of the 20 chapters. Twelve pages of notes, 6 pages of selected references, 3 page index of names and a 4 page index of subjects. The library markings, none of which are external, are a stamp on the title page and attachments on the inside of the back cover. Mild wear (a slight bump) to the top fore edge corner of the book, otherwise very clean and tight with the appearance of having been used very little if at all. .
San Francisco, California. : Harper & Row Publishers.. Very Good. 1987. Soft Cover. 0866837825 . 8vo - 21 x 13.5 cm. ; (8) - 135 pp. First published in 1982, this is the second printing. 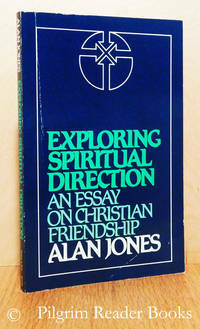 Jones explores spiritual direction in the context of spiritual friendship and the need for true friendship in one's spiritual journey. Jones was the Dean of Grace Cathedral, San Francisco and former professor of ascetical theology at the General Theological Seminary at the time of writing. Five pages of notes at the back. The library markings, none of which are external, are a stamp on the title page and attachments on the inside of the back cover and the blank verso of the last page. Otherwise clean with a sound binding. .
Philadelphia, Pennsylvania. 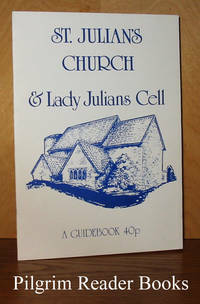 : The Rector, Churchwardens, and Vestrymen of the Church of the Holy Trinity.. Good with no dust jacket. 1956. Hardcover. 8vo - 23 x 15 cm. ; 72 pp. Red paper over boards with gilt lettering on the spine and the front board along with black art work on both the front and back boards. The Church is on the corner of Walnut Street but fronts onto Rittenhouse Square. Illustrated with many black and white photographs and other illustrations/decorations by Jack Bowling. Previous owner's (a resident of Rittenhouse Square) address label on the title page, otherwise the book is clean with a sound binding. Mild wear to the fore corners of the boards and the spine head has a tear (or pull) with some paper loss. A clear and removable archival cover has been fitted. .
London, UK. : Sheldon Press.. Very Good. 1980. First Edition. Soft Cover. 0859692558 . 8vo - 21.5 x 13.5 cm. ; (6) - 202 pp. Four page bibliography and a 5 page index. 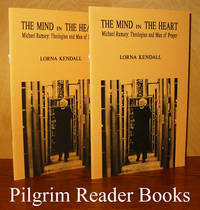 Kenneth Leech answers the question why and how should I pray by considering such diverse personna as Wordsworth, Julian of Norwich, St. Thomas Aquinas, William Blake, T. S. Eliot, Albert Camus, Gerard Manley Hopkins and many more. Minor wear to the edges of the covers and the margins of the text pages are a tad tanned, otherwise the book has the appearance of having been used very little if at all. .
New York. : The Vanguard Press.. Very Good with no dust jacket. 1955. Hardcover. 8vo - 21.5 x 13.5 cm. ; 336 pp. Red cloth over boards with silver gilt lettering on the spine. Twenty-four pages of notes, a 9 page bibliography and a 4 page index. The library markings, none of which are external, are a stamp on the title page and a pocket on the back paste down end paper. Previous owner's name on the front free end paper. Otherwise, clean with a sound binding and having mild wear to the spine tips and the spine is faded or sunned. A clear and removable archival cover has been fitted. .
By Dewar, Rev. Lindsay. (editor). London, UK. : Rich & Cowan.. Very Good with no dust jacket. 1939. First Edition. Hardcover. 12mo - 17.5 x 11 cm. ; x - 240 - (4) pp. Green cloth over boards with gilt lettering on the spine. Foreword by William Ebor, the archbishop of York. Contents: 1 - "Teaching Little Children to Pray" by Eleanor Martin, 2 - "Training Boys and Girls in Prayer and Worship" by Phyllis Dent, 3 - "The Training of Adolescents in Prayer and Worship" by Lindsay Dewar, 4 - "Training the Congregation in Worship" by J. L. Barkway, 5 - "More Advanced Teaching on Prayer" by F. P. Harton, 6 - "The Prayer of the Teacher of Prayer" by E. S. Abbott. Six page index at the back. Previous owner's name on the front free end paper. The externals show only mild wear to the fore corners of the boards and the spine tips. 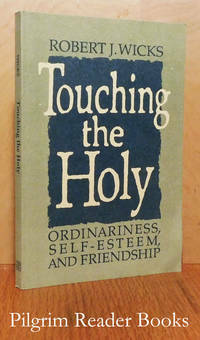 Otherwise clean with a tight binding. .
Touching the Holy: Ordinariness, Self-Esteem, and Friendship. Notre Dame, Indiana. : Ave Maria Press.. Near Fine. 1995. Softcover. 0877934908 . 8vo - 21 x 14 cm. ; 155 pp. First published in 1992, this is the fifth printing. Robert Wicks is a professor of Pastoral Counseling at Loyola College in Maryland, and has authored a number of books on the integration of psychology and spirituality. Minor wear to the edges of the covers, otherwise clean with a tight binding. .
Beaupre, Quebec. : Shrine of Ste. Anne de Beaupre.. Good with no dust jacket. (1951). Hardcover. 12mo - 18.5 x 12.5 cm. ; "The Saint called Good", 51 pages 1951. Burgundy cloth over boards with gilt lettering on spine. A comprehensive book about Saint Anne published by the Basilica of Saint Anne in Beaupré, Québec. There are black and white reproductions of pictures of St. Anne, prayers, stories of healed people, a history of devotion to her, the Solemn Novena, hymns to St. Anne. 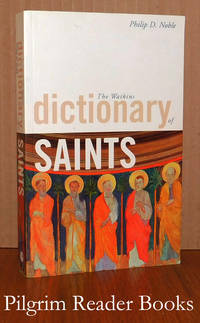 As someone who is fascinated by the saints, I found this little book to be a wonderful collection of information about a saint who is prominent in our Church but about whom so little is known historically. The stories of the cures are inspirational. The library markings are the usual aong with a blacked out previous owner's name on the front free end paper. Sticker ghost and a white accession number on the lower spine. Very mild wear to the externals, in fact the book appears as though it has been used very little if at all. The second book "The Life of Saint Anne"; 1975, 80 pp. Full colour paper over boards. Illustrated with many black and white photographs and reproductions. A biography of St. Anne. Slight browning of the spine, otherwise clean and tight. 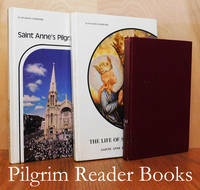 The third book "Saint Anne's Pilgrim People" (1975), 132 pages is bound with full coliuyr paper over boards and is very well ilustrated. The first and third books are ex-library with the usual markings though all neatly done. All three books are included. .
London, UK. : Watkins Publishing.. Near Fine. 2007. Softcover. 9781905857319 . 8vo - 20 x 12.5 cm. ; xi - 305 pp. Seven appendices: "Heresies", "Apostles' Creed", "Symbols of the Saints", "Saints in Waiting", "Alphabetical Index of Saints", "Index of Feast Days", "Index of Patron Saints" with 1 page of notes, and 3 maps - Ireland, Mainland Britain and Europe, the Mediterranean and Asia Minor. Very mild shelf wear to the covers and the text block edges are darkened. .
Washington, DC. : The Pastoral Press.. Good. 1988. Softcover. 0912405538 . 8vo - 21.5 x 14 cm. ; vii - 104 pp. 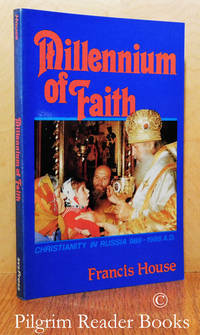 A series of 6 lectures originally delivered at the College of the Resurrection in Mirfield, UK during Holy Week, 1984. Two page select bibliography. The library markings, none of which are external, are a stamp on the title page and attachment remains on the inside of the back cover and the verso of the last page. Otherwise clean with a sound binding and having mild wear to the edges of the covers. .
London, UK. : Adam and Charles Black.. Very Good with no dust jacket. 1947. Hardcover. 8vo - 21.5 x 13.5 cm. ; vi - 236 - (4) pp. 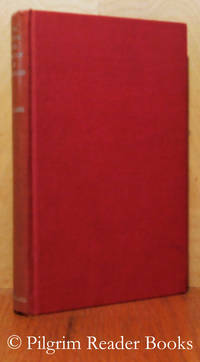 Wine red cloth over boards with gilt lettering on the spine. Four page general index and a 1 page index of quotations. Previous owner's name on the front paste down end paper, the fore corners of the boards and the spine tips show some very mild wear, otherwise the book is clean with a sound and solid binding. .
London, UK. : Longmans.. Very Good. 1961. Softcover. 16mo - 16.5 x 10.5 cm. ; (8) - 85 pp. Blue wrappers with french folded flaps on the fore edges. 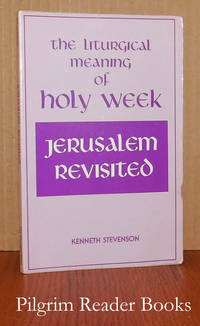 The Church of England "Lent Book" for 1961. 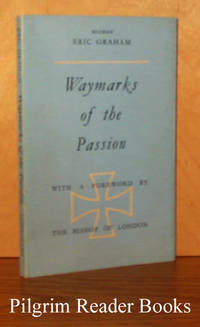 Foreword by Bishop Henry Londin. Previous owner's name on the front cover flap, otherwise clean and sound with minor edge wear to the covers. .
London, UK. : A. R. Mowbray.. Very Good. 1957. Softcover. 12mo - 18.5 x 12.5 cm. ; 72 pp. 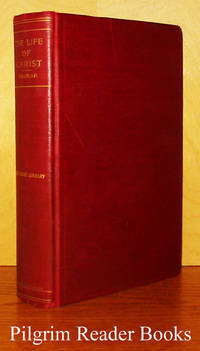 First published in 1955, this is the second printing. "These meditations werre originally written for the Provost and Chapter of Chelmsford Cathedral. 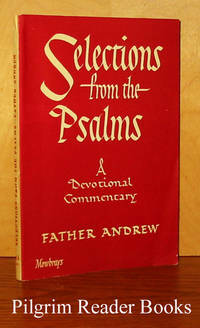 The psalms included are 1. 7, 8, 11, 15, 16, 21, 23, 26, 27, 45, 46, 65, 66, 84, 85, 91, 108, 112, 113, 115, 119, 121, 126, 132, and 144. Previous owner's name on the inside of the front cover, the covers show only mild wear to the edges and the spine is a tad darkened. The shipping cost for this small item will be reduced when ordered. .
By Farrar DD., Frederic W.
New York. : A. L. Burt Company.. Very Good with no dust jacket. Hardcover. xxxi - 535 - (9) pp. This is the one volume "Home Library Edition" from Burt. No date given though known to be turn of the century. 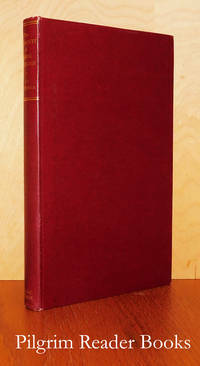 Burgundy cloth over boards with gilt lettering on the spine and blind stamped border rules on the front and back covers. The text block head edge is gilt as issued. Tissue protected frontis piece of "Suffer the little children to come unto me" by Julius Schmid. Nine page index at the back followed by 7 pages of publisher's adverts. The book has mild wear to the board corners and spine tips, previous owner's name on the front paste down end paper, The gilt lettering and that on the text block head edge is a tad dulled though not much. Else clean with a sound binding. A clear and removable archival cover has been fitted. .
Norwich, UK. : Privately published.. Fine. 1981. Softcover. 8vo - 21 x 15 cm. ; Unpaginated with 8 pages. Stiff white card stock covers with lettering and art work in a saddle stapled binding. The church is located in the praish of Parmentergate, Norwich, County Norfolk in the United Kingdom. Plan map of the town site and church environs on the back cover. The shipping cost for this small item will be reduced when ordered. .
Fairacres, Oxford, UK. : SLG press. Fine. 1991. Softcover. 072830130X . 8vo - 21 x 14 cm. ; 18 pp. 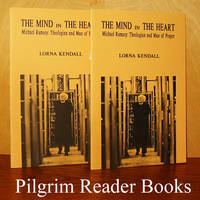 Light beige covers with black lettering (and a black and white photograph on the front) in a saddle stapled binding. Fairacres Publication #114. A short biography of the archbishop with empasis on his theology. One page of notes at the book. An as-new and unused booklet. Both are included. The shipping cost for these two small item will be reduced when ordered. .
London, UK. 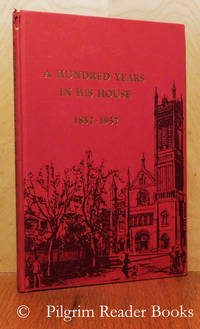 : Collins Liturgical Publications.. Fine. 1986. Hardcover. 0005997348 . 16mo - 15 x 10 cm. ; xiv - 492 - (2) pp. 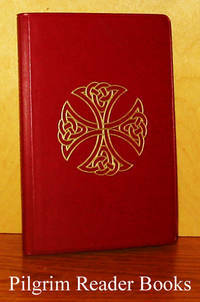 Red vinyl over very thin and flexible boards, gilt lettering on the spine with a gilt liturgical cross on the front. Two book mark ribbons set into the head of the spine. This edition is approved for use by the Episcopal Conferences of Australia, England and Wales, Ireland and Scotland. The text is taken from "The Divine Office", a translation of "Liturgia Horarum". The prayer book has the appearance and feel of having never been used. .